and I apologize. But our family has been dealing with some dramatic changes and sometimes you just have to be still & ignore all the outside distractions. BUT, here I am with a few minutes to spare in my day, to share with you the teacher gifts we made at the end of this school year. 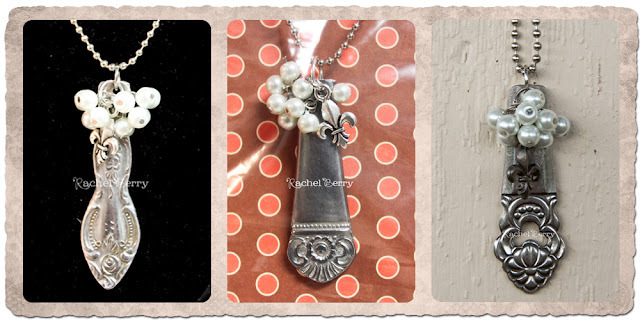 I've always loved the look of silverware necklaces & I secretly coveted several of them on Etsy. Sadly my checking account couldn't afford them x4 & frankly, coveting is bad. (well, I had a little help from my man). Each of my kids choose what they wanted for their teachers and the above is what we came up with. 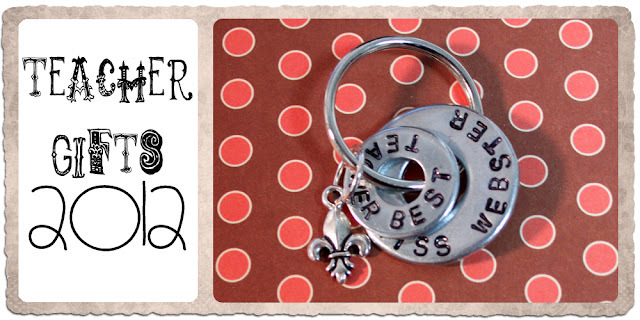 Parker, Brinley & Addison all wanted necklaces for their teachers and Corbin choose a custom key ring for his. We loved how they turned out and so did the teachers. So Thank You Teachers , for your unfailing & never ending support/hard work you put in for our kids. We love, and I in particular, miss you all terribly. Those are amazing! You've got to tell us how you made them? I'm really missing my kids teachers right now too:) Good Luck with the changes in your family and making through the the summer! I love your ideas! I"ve been working on some silverware jewelry lately and LOVE these. Thanks for sharing. I finally bought a metal stamp kit. I love your key chain and might just have to copy it. :) Hope everything is going well! I love those necklaces! Are you going to do a tutorial on how to make them! Please?